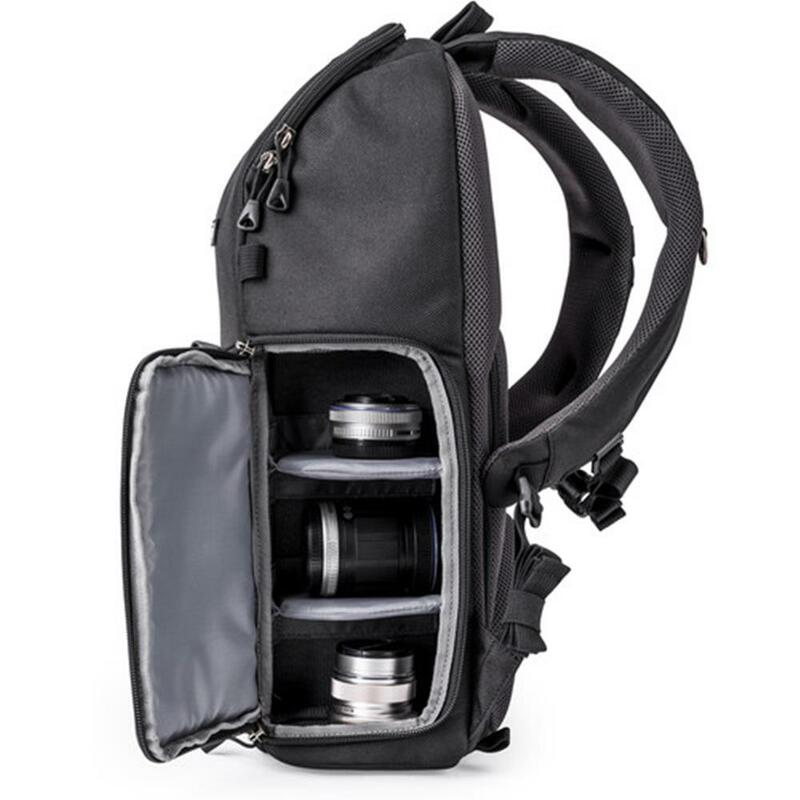 Trifecta 8 Mirrorless Backpack is specifically designed for your three workhorse lenses. 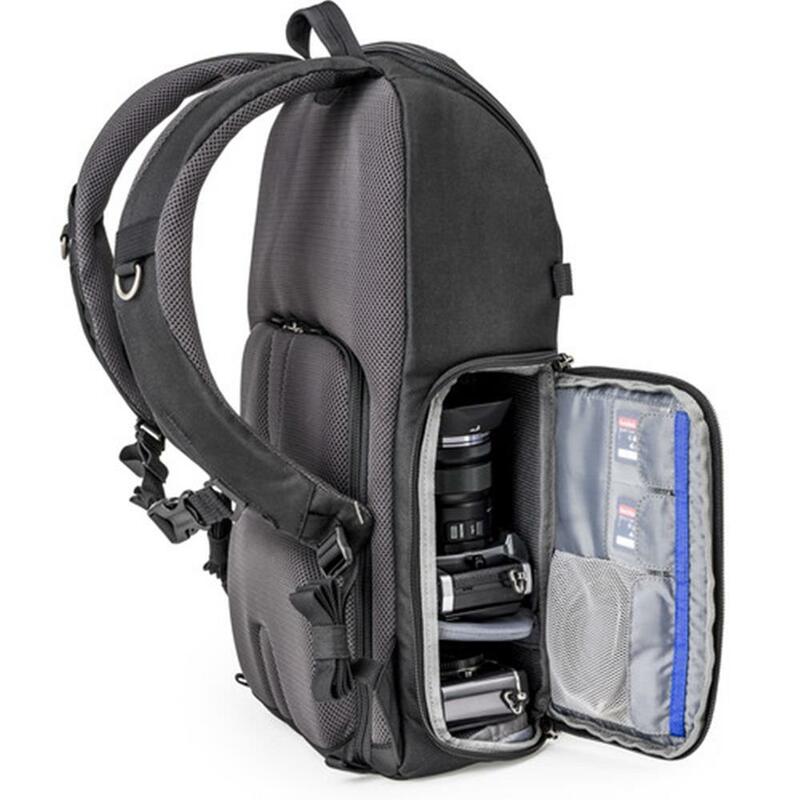 Access your ultra-wide, mid-range, and/or telephoto zoom lenses quickly and easily. 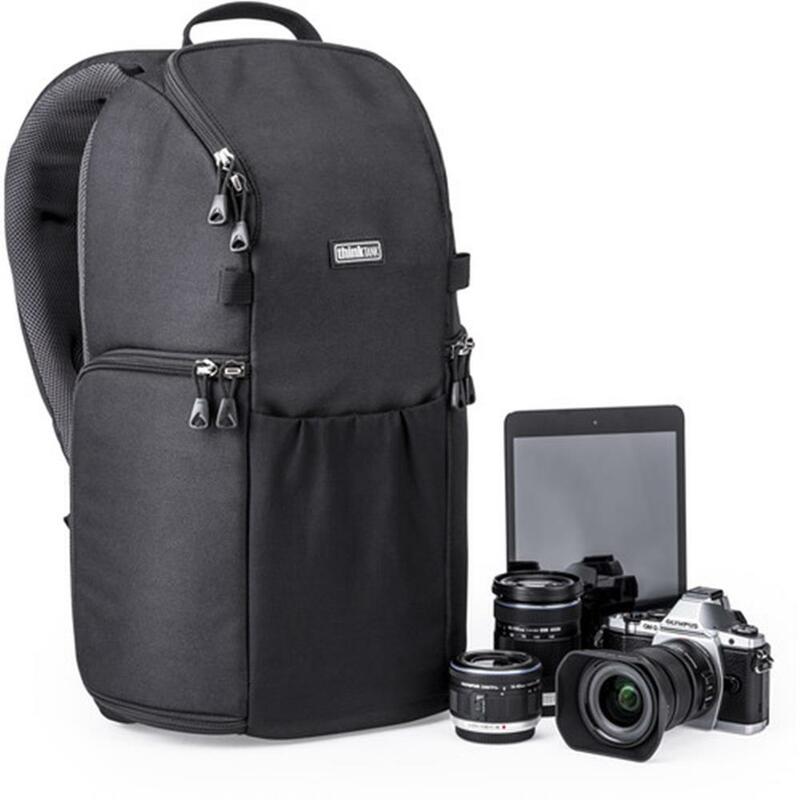 This versatile backpack gives you access to your mirrorless system plus an 8" tablet. 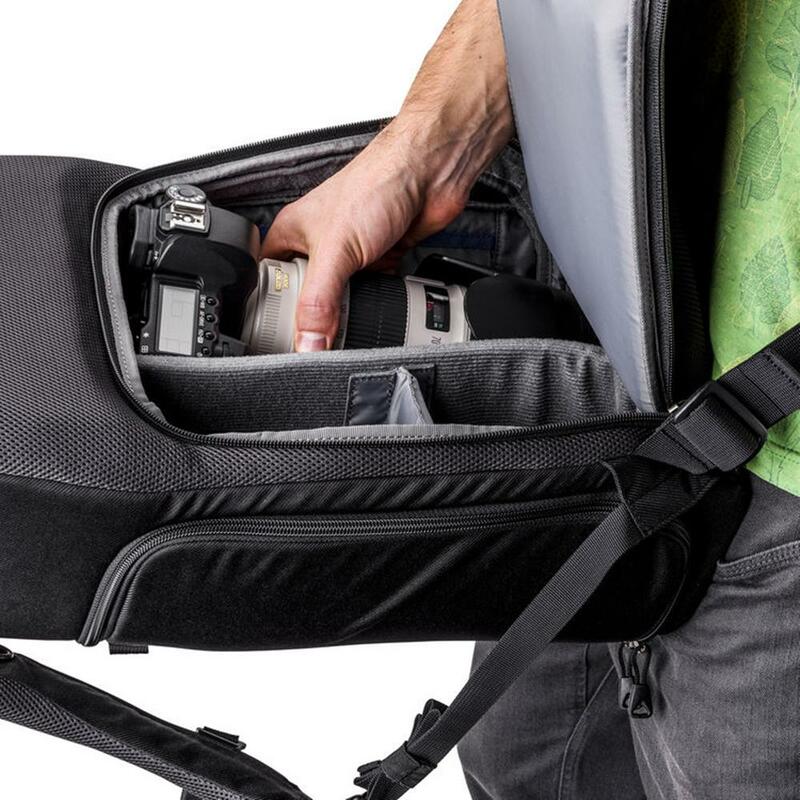 Perfect for any shooter on the move, the rear panel opening offers complete access to your gear when you need to work directly out of your bag. 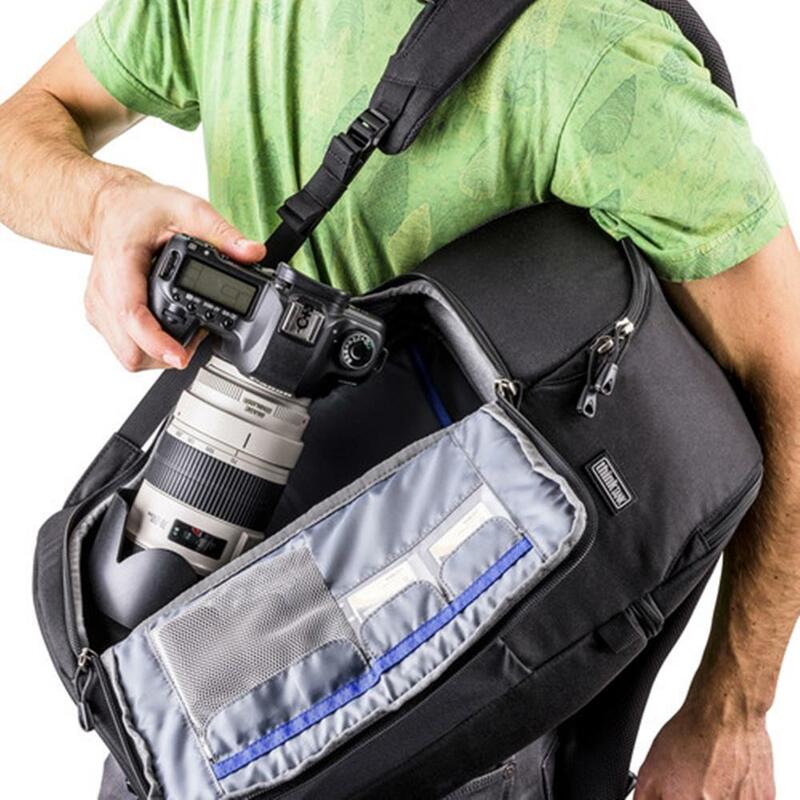 You can also configure it for photo and/or personal items. 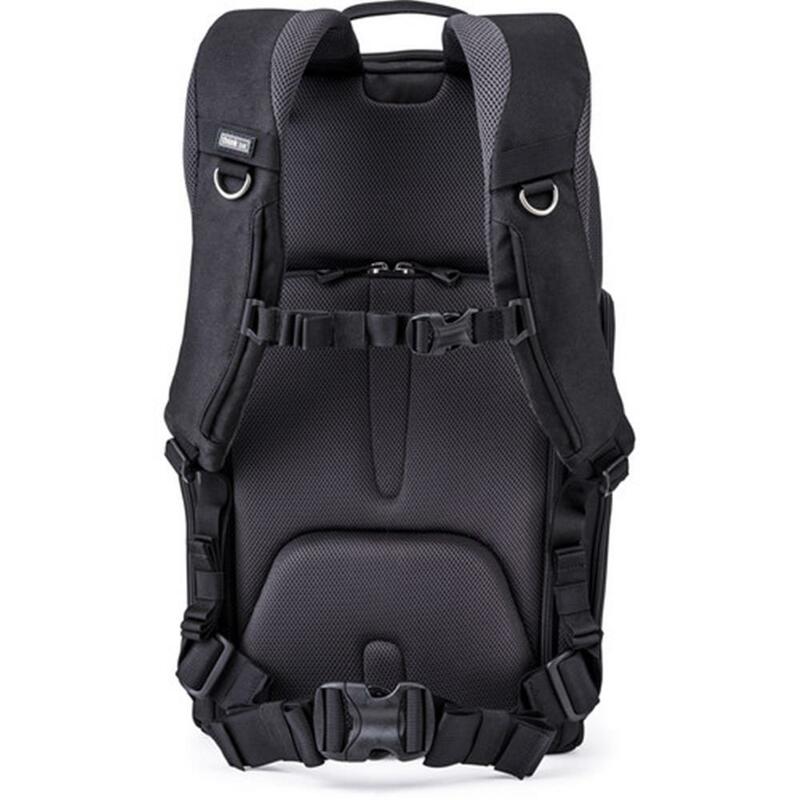 The slim silhouette is comfortable and appealing, and helps you easily navigate through crowds. 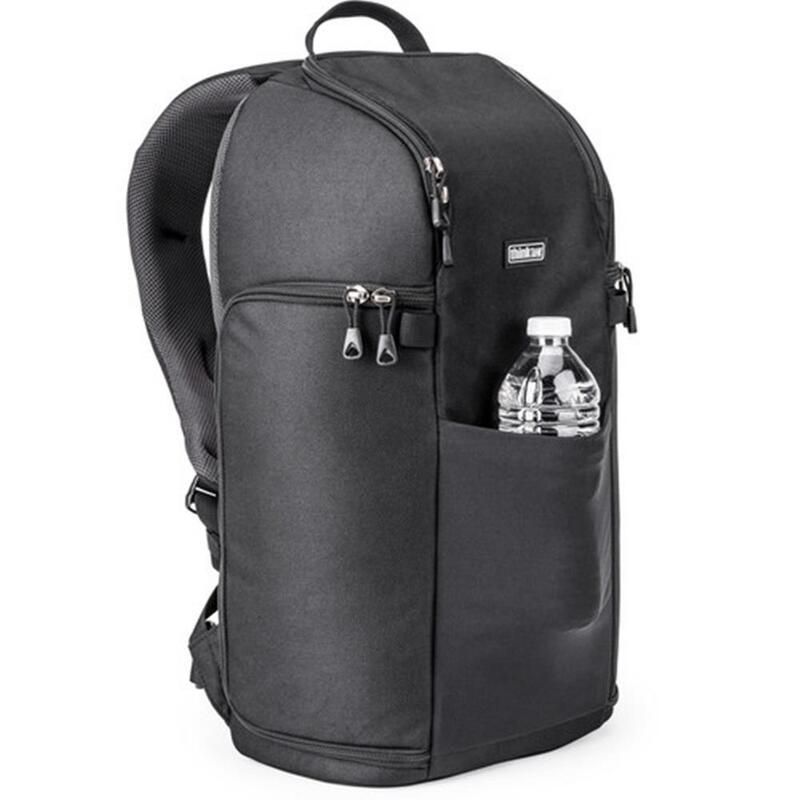 Exterior: for superior water-resistance, all exterior fabric has a durable water-repellant (DWR) coating, plus the underside of the fabric has a polyurethane coating. 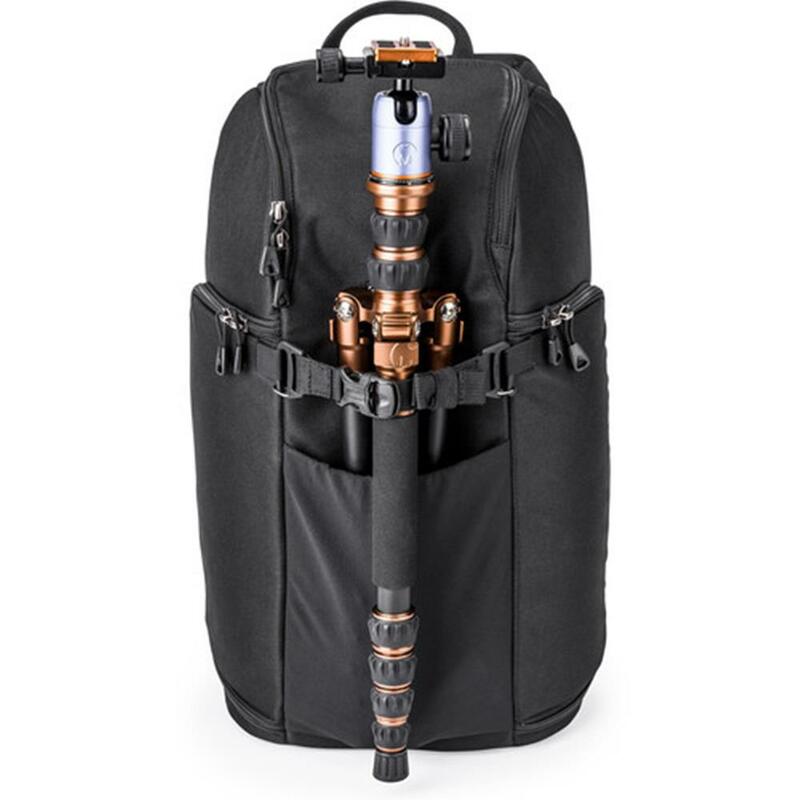 It also has 600D twill, YKK RC fuse zippers, 420D high-density nylon, ultra-stretch mesh, nylon webbing, nylon air-mesh, 3-ply bonded nylon thread. 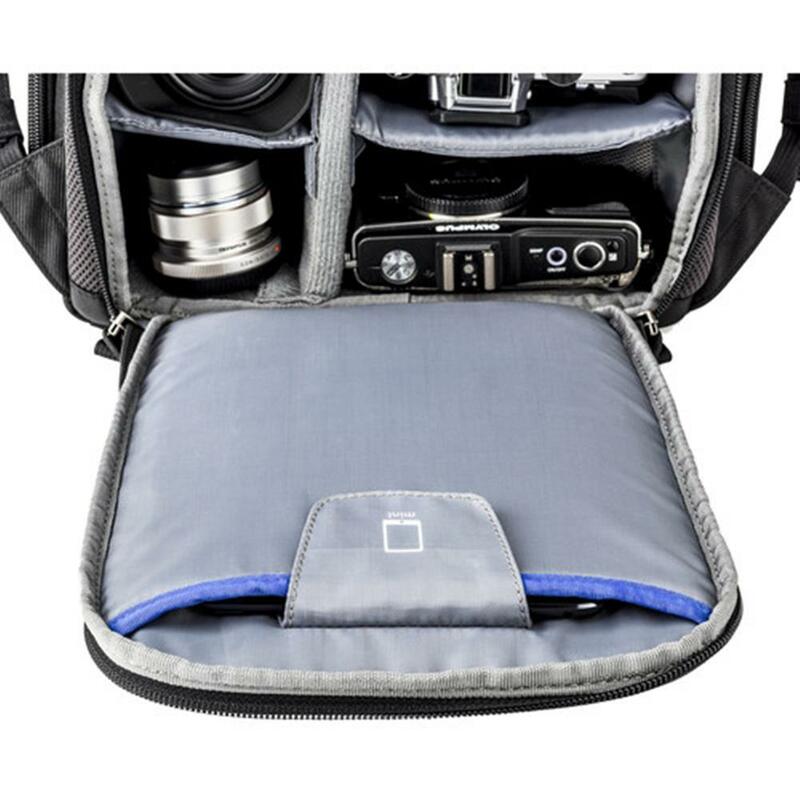 Interior: removable closed cell foam dividers, polyurethane backed liner and dividers, 210D silver-toned nylon, Super-Grip velex, hexa mesh, 2x polyurethane coated nylon 190T seam-sealed rain cover, 3-ply bonded nylon thread. 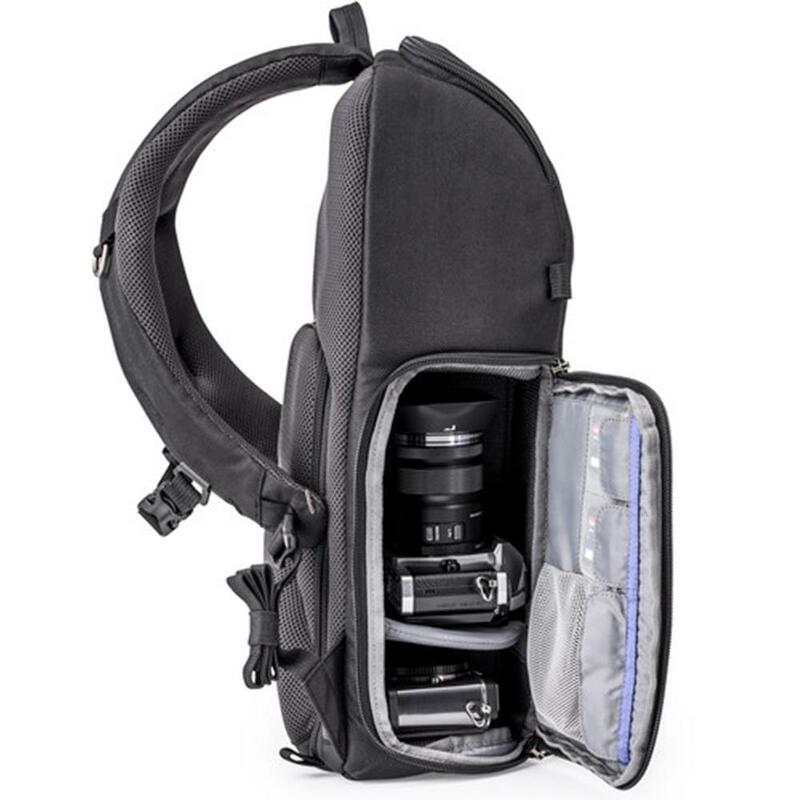 1 medium to large mirrorless body with lens attached, 2-5 additional lenses, up to an 8" tablet, plus personal gear.